Oh, I absolutely love Missä X! Though I couldn't disagree more about the black pieces; I actually think they're quite refreshing among the sour pieces. I usually combine a coloured piece with a black piece and consume them togehther! And only the black ones are salmiac.. This is like going to America and saying "Well, normally I cannot stand beers, but this 'root beer' is truly delightful!". You sick sick sick person. You left the best part and eate the worst. Those colored ones are just regular sour candy for peasants, not the glorious king of candy world the Salmiak we all love and worship! This bag of candies is like a game of hide and seek! Can you pick the lovely black ones in the dark of the movie theater without having any of the fruity ones..
"Missä X ~ Whrere's the X"
As much as USA hates salmiac, I hate those sugar coated shits you call candy too. Black ones in this bag are the only ones we can call salmiakki, sorry. Rest are just fruit candy and bag earns title salmiakki only because of the black ones. 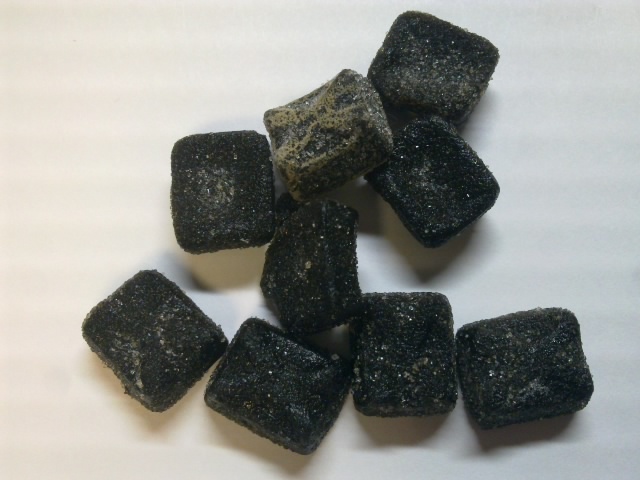 Another Finnish candy that is not salmiakki but equally unique is called Terva (=tar) that also requires a refined taste too (but it's not salty). Missä X is the only bag of salmiakki my husband and I can share. He gets all the nasty black salmiakki bits and I get the lovely red ones :) The rest we split. You dirty fruitjelly eating peasants. 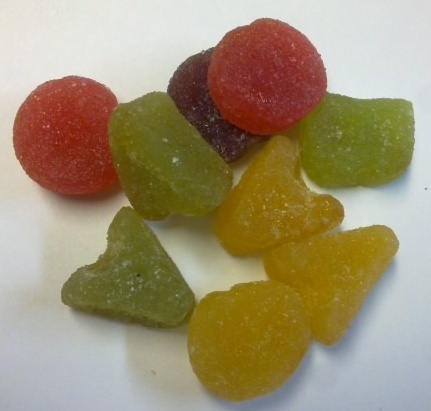 the fruit candy (colorful ones)... are not salmiac. 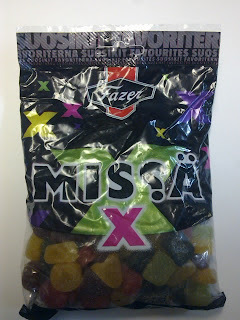 "Missä X" is one of my favourite candies! If you enjoyed it, maybe you should try "Ässä Mix" too. It's almost the same, but without the sour sugar.